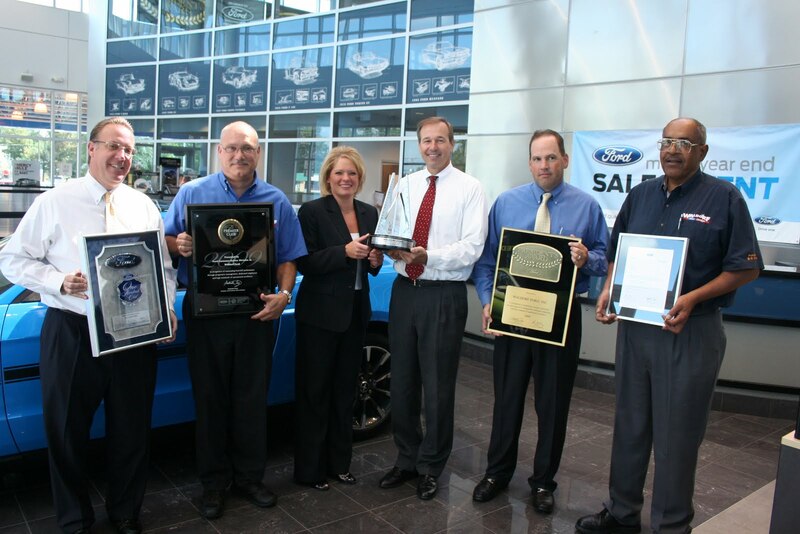 (Press Release) August 25, 2010, Waldorf Ford was presented with their 5th Triple Crown Award; Customers are the real winners. (Waldorf, MD) Today, Lisa O’Connor, Regional Manager for Ford Motor Company was in Waldorf to present Waldorf Ford with the prestigious Triple Crown Award. This is the 5th year that Waldorf Ford has won this award. The Triple Crown Award recognizes dealerships that have won the President’s Award and the One Hundred Club Award, but who also ranked high enough to be included in the Ford Customer Service Premier Club. Waldorf Ford is one of only 21 dealerships in the country to win the 2009 Triple Crown Award. She also presented The One Hundred Club Award for 2009, which recognizes dealerships that are in the top 100 in Ford sales for the nation. “It is quite an accomplishment for a dealership to receive the One Hundred Club Award, but to receive that and take care of the customer to receive the President’s Award as well, is exceptional”, stated Ms. O’Connor. The final award presented was for the 2009 President’s Award. The President’s Award is reserved for Ford dealerships that have made a commitment to deliver exceptional sales, service and vehicle ownership experiences to their customers. Ford Motor Company’s President’s Award is reserved for the best of the best – approximately 200 out of the nearly 4,000 dealerships receive this award.